Voted most likely to succeed, Melanie Bartlett ended up anything but. The down-on-her-luck single mom wants a complete do-over-is that too much to ask? With her family long gone from River Bend, strong, independent Mel is as surprised as anyone to end up in the quaint small town she once called home. 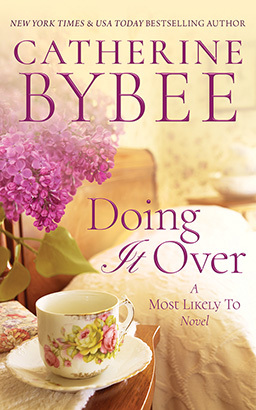 But with her friends Jo and Zoe by her side, and a comfortable room at Miss Gina's quirky bed-and-breakfast, she just might have turned the corner on a new life. Wyatt Gibson never liked the big city. River Bend suits the ruggedly handsome builder just fine. Wyatt knows he's home, even if that means being charmed by the appearance of Melanie and her spunky, adorable daughter. Is Wyatt's calm devotion-even amid a coming storm-enough to convince Mel she may have found a home to call her own, a family that never leaves, and a true love to last a lifetime?